The Civil Air Patrol’s top leader showed no sign of contrition in a letter sent last week to former commanders who had asked him to apologize for behaving disrespectfully toward the U.S. Air Force. “This will assist you in becoming fully cognizant of the facts rather than relying on information from those who are more interested in their personal agendas rather than the ultimate good for CAP,” Gen Bobick wrote in the June 23 letter. The Air Force and its private, non-profit civilian auxiliary have been locked in a power struggle for two years. The Air Force accuses CAP of mismanaging its federal funds, retaliating against whistle blowers and using CAP airplanes for personal trips. It has sought tighter control over the auxiliary, which is known for its search and rescue operations. Gen Bobick, who was not available Wednesday for comment on his letter, attributes the troubles to “growing pains.” Air Force officials and CAP leaders met Tuesday with two senators to begin negotiating an agreement. In a letter last week, the former commanders urged Gen Bobick to apologize publicly to Air Force leaders for allowing a dispute between his organization and the military command to disintegrate into name-calling. 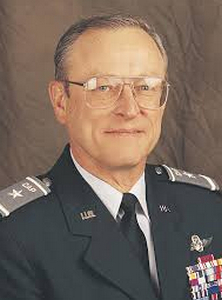 The group threatened to apologize on behalf of CAP if Gen Bobick rebuffed their request. The council will meet Thursday by teleconference to formulate its response to Gen Bobick’s memo, Gen Castle said in an interview. Be the first to comment on "Gen Bobick Refuses to Apologize to Air Force"